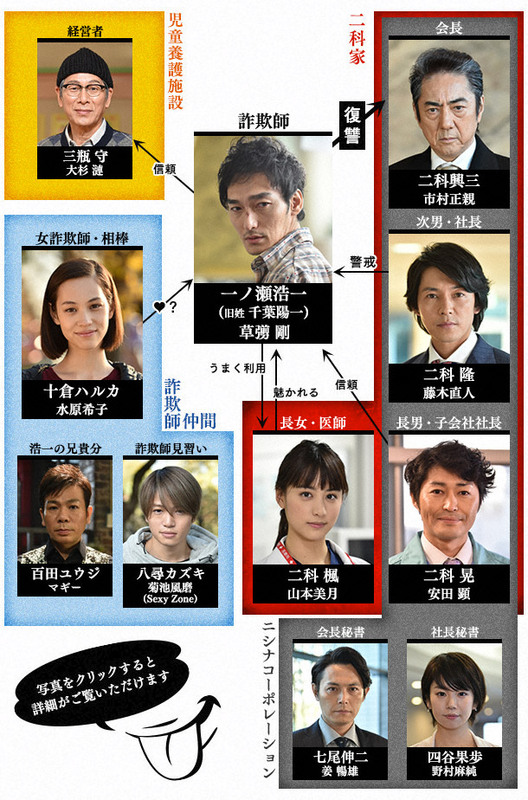 30 years ago, Ichinose Koichi�fs (Kusanagi Tsuyoshi) family was killed in a murder plot when he was young. Since the moment he saw the criminal, he plotted a clever scheme and became a gifted swindler. Despite his genius, he is indifferent to money and has no ambition. 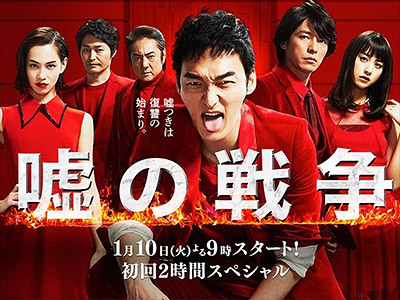 Ichinose tries to take revenge on the criminal and as he closes in on the truth of what happened on the night of the murder, the people involved emerged. He exposes their scandals and crimes with the methods of a swindler and starts to socially obliterate them. The final episode was kind of predictable, but overall I liked it. Kusanagi was great and the rest of the cast was very good with exception of Kiko Mizuhara. I cannot figure out how she keeps getting work. was quite exciting overall, except the ending can be better. towards the end, the plot get abit ... unconvincing to me. a waste to the build up in the story from the start.